Pampiri Indaba make the Map Gift Bags for ‘the WREN design’ and as a gift to say thank you for the work, they made me some beautiful envelopes using the off-cuts. I liked them so much I asked them to make more with the idea to sell and create more work for them. So, in packs of five they are for sale from the two ‘Fringe Arts‘ shops in Cape Town. 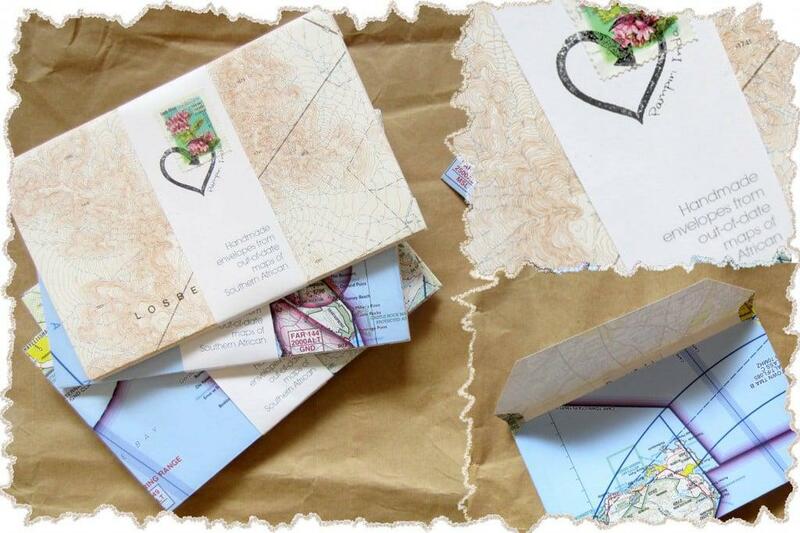 This entry was posted in Blog and tagged gift map, map bags, map envelopes, pampiri indaba. Very beautiful envelopes ,Wendren!I like it really!